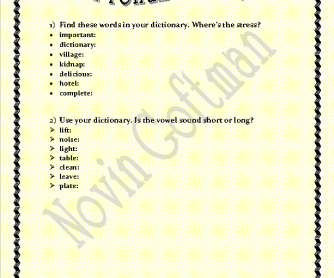 This is a worksheet for practicing short and long vowels. It includes two activities. First, the students are asked to find the stress in some words. 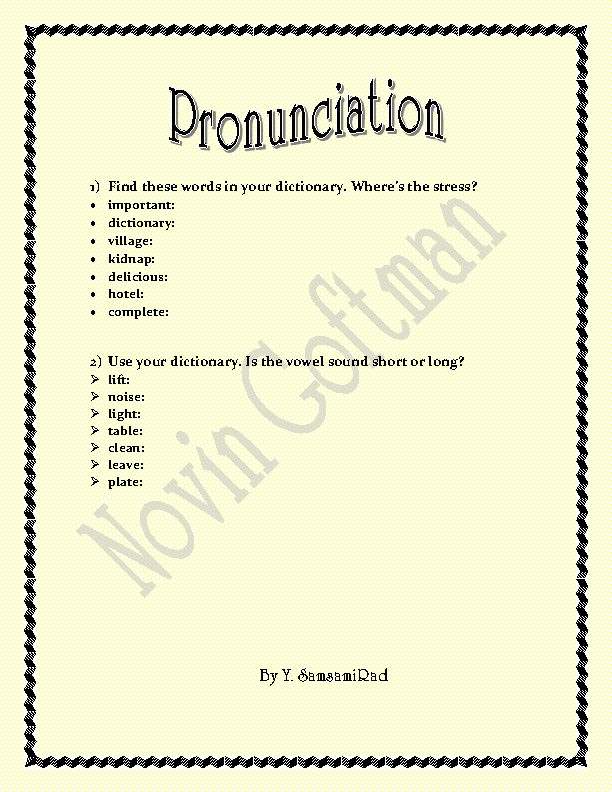 Next, they are asked to use their dictionaries to find out the vowel sounds are short or long. Hope it works well!